Discover the first of many students and professionals that will collaborate on the analysis of some aspect of the of the Anteaters & Highways Project. This 4-year project will requires a large and diverse group of individuals. ​Gislaine Dalazen is a veterinarian, Master student at University of São Paulo (Experimental and Comparative Pathology Program). Her main research focus is leptospirosis and brucellosis in Xenarthrans. She is also using samples of the Anteaters and Highways Project to understand the relation between these pathogens and anteaters through histophatology and molecular analyses. 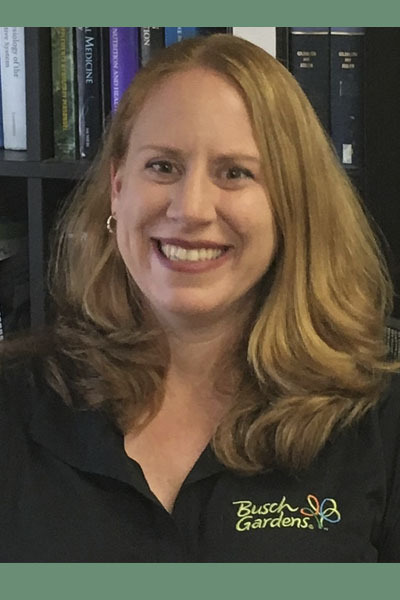 ​Heidi Bissell is the nutritionist for the SeaWorld and Busch Gardens parks in the USA. She is one of the Pangolin, Aardvark, and Xenarthran nutrition advisors for the Association of Zoos and Aquariums (AZA). She is working with Anteaters & Highways project to collect samples of gut contents and diet items to understand the nutritional ecology of this group including what nutrients and foods they consume, and how they make foraging decisions. 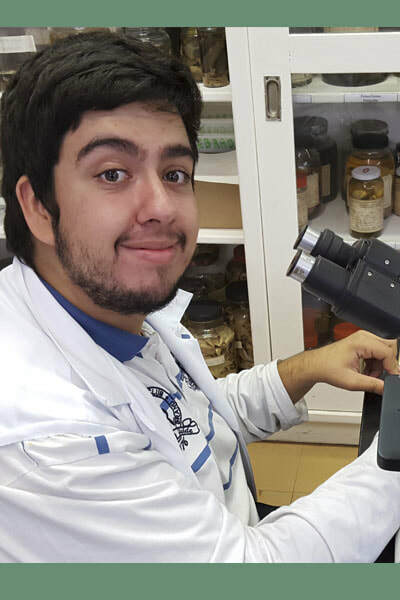 Thiago F. Martins is a Postdoc at the Laboratory of Parasitic Diseases, Department of Preventive Veterinary Medicine and Animal Health, Faculty of Veterinary Medicine, University of São Paulo, Brazil. 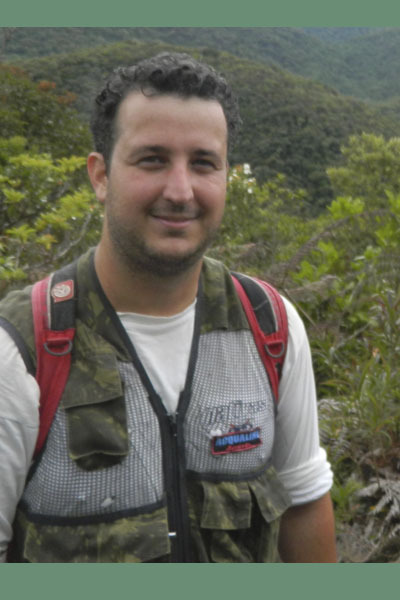 Martins is a young Brazilian researcher on ticks and tick-borne diseases with a great expertise in systematic, biology and control of ticks, a field mastered for few persons worldwide. He is collaborating with both the Anteaters & Highways project and Giant Armadillo Conservation Program identifying all ticks collected by both projects. ​Veterinarian, specialized in Public Health, Obtained hers Master’s and PhD in microbiology and pos-doctorate in pathology of wild animals. Professor of the Post-graduate Program in Environmental and Experimental Pathology, at the Paulista University. 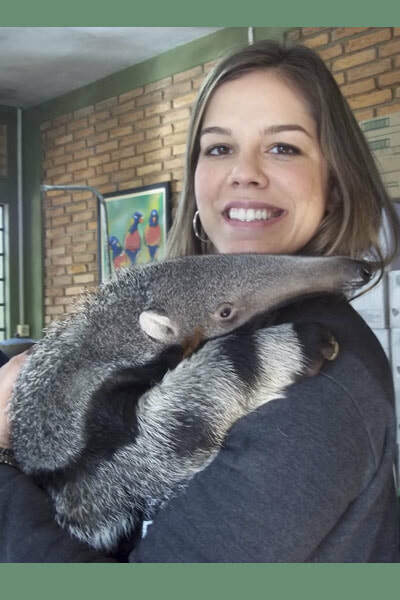 Selene is conducting research on pathogeny of the Fungi Malassezia spp and dermatophytes in collaboration with both the Anteaters and Highways Project and Giant Armadillo Conservation Program. Juliana Arena Galhardo, PhD, MV, MSc. Dr. Juliana A. Galhardo is a Professor at Federal University of Mato Grosso do Sul in Campo Grande, Brazil, and works on one health epidemiology. She is collaborating with Anteaters & Highways project in rabies research using molecular tools. 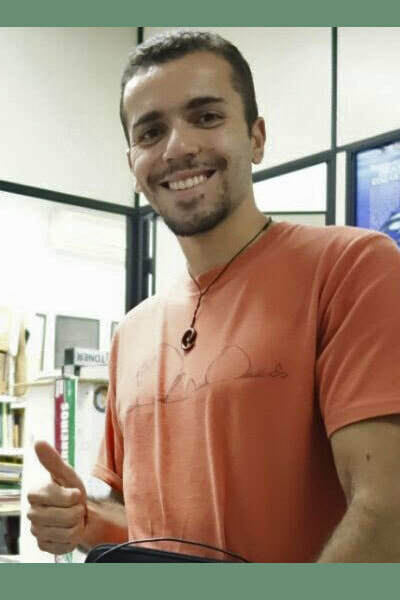 Marcelo Magioli is a biologist and PhD student in Applied Ecology at Luiz de Queiroz College of Agriculture – University of São Paulo. His main research focus is variations in functional diversity of medium- and large-sized mammals, and resource and habitat use, and trophic processes of mammal species using stable isotopes analysis. He will use hair samples of all species collected from road kill by the veterinarians of the Anteaters and Highways Project to obtain information on resource and habitat use, besides to insights of trophic process, using stable isotopes analysis. Jessica Ferreira is a veterinarian graduated from UFRRJ (2013). She has a Master of Science (MSc) in Cell and Molecular Biology (2013-2015) at Oswaldo Cruz Fundation, Brazil (FIOCRUZ). Currently, she's a PhD student (Doctorate Degree) at Federal Rural University of Rio de Janeiro, Brazil. She develops a project that seeks to understand the participation of non-human sources of infection in the spread of leprosy. In collaboration with a group of researchers of the Laboratory of Molecular Biology Applied to Mycobacteria at Oswaldo Cruz Institute (IOC-FIOCRUZ), she aims to contribute to the current project (Anteaters and Highways Project) by carrying out serological and molecular investigation of Mycobacterium leprae infection in armadillos, anteaters, and arthropods (ticks). 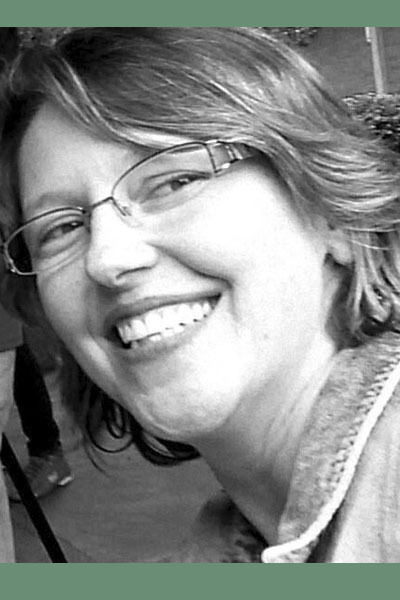 She has been a collaborator with the Giant armadillo Project since 2014. Raphael Coimbra is a biologist and Master student in the Graduate Program in Genetics at Federal University of Minas Gerais. His current research focus in phylogeography of xenarthran species. ​He will use samples from Anteaters and Highways Project to understand the population structure and historical demography of the giant anteater through analyses of DNA sequences. 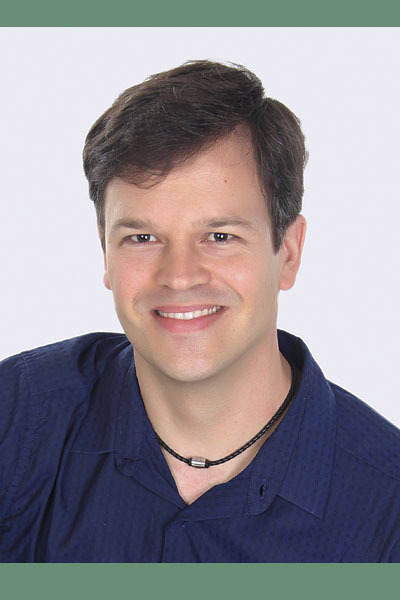 Eduardo Bagagli holds a PhD in Genetics from the Universty of Sao Paulo (USP). He is Professor of Microbiology/Micology in São Paulo State University (UNESP). His main area of interest is zoonotic pathogenic fungus ecology and evolution, especially those that infect people and animals. Arlei Marcili holds a PhD in Science at the Biomedical Sciences Institute from University of São Paulo (USP) (Pathogen-Host Interactions). He is an advisor for Master's degrees and Phds at the Experimental Veterinary Medicine applied to Zoonosis Post-Grad Program (VPS-FMVZ-USP), and Medicine and Animal Welfare Post-Grad program (UNISA). He works in the areas of parasites diversity, phylogeny and phylogeography, mainly Trypanossoma and Leishmania genus. Fabiano Montiani-Ferreira holds a PhD degree in Comparative Medicine and Integrative Biology at Michigan State University (2004). Currently, Fabiano is the Head of the Graduate School in Veterinary Sciences at Federal University of Paraná (UFPR). 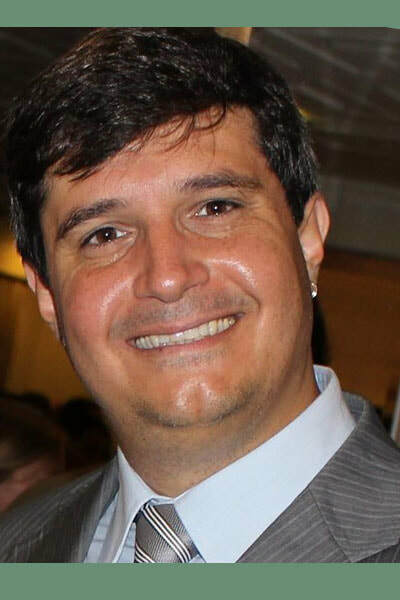 He has experience in teaching, research and outreach programs in the field of Veterinary Ophthalmology, including founding the Laboratory of Comparative Ophthalmology (LABOCO) at UFPR in 2005. He'll be studying the anatomy and histology of Giant Anteater Eye. 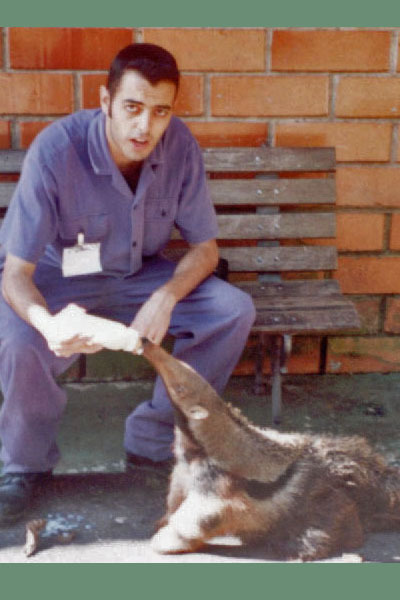 Veterinarian, Masters, and a Ph.D. student in animal pathology at the University of São Paulo. Pedro is part of the Laboratory of Wildlife Comparative Pathology (LAPCOM) of FMVZ-USP. Graduated from the University of La Salle (Colombia). 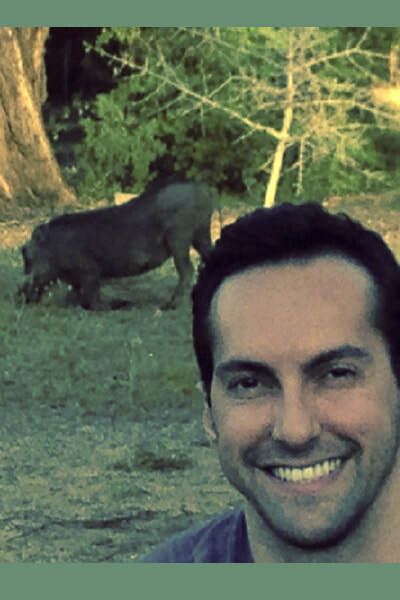 Pedro´s research topic is pathology of infectious diseases of wild mammals. He’s conducting his PhD research on the occurrence of zoonotic diseases and general health of roadkill wild mammals 0n selected roads in Brazil. 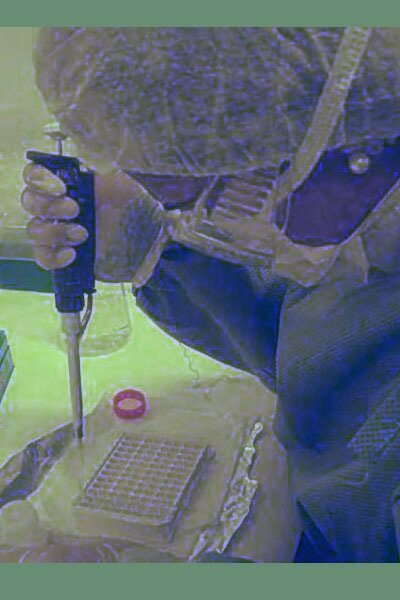 Pedro's collaboration in the project will be the detection by immunohistochemical and molecular techniques of Chagas disease, Leishmaniosis, and Rabies. 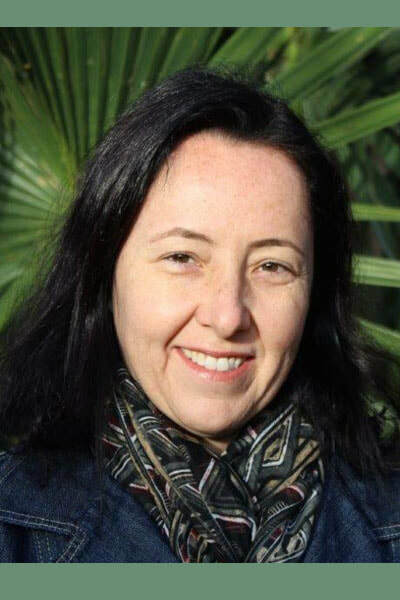 Katia Ferraz is a Professor at the University of São Paulo (ESALQ/USP) and the coordinator of the Wildlife, Ecology and Management Lab (LEMaC). 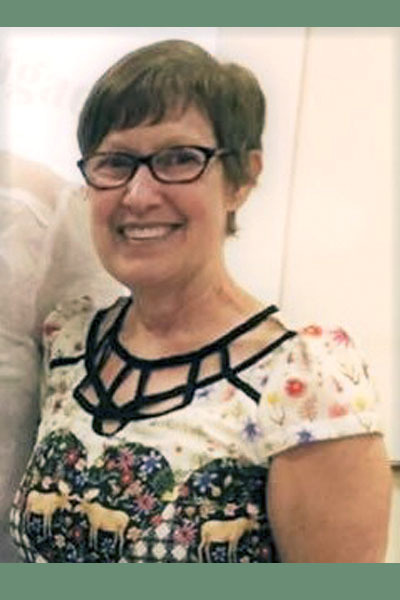 Her primary research interests lie in understanding the ecological process of mammal and bird communities in pristine and human-modified landscapes, and developing the species distribution models for conservation purposes and decison-making processes. She is collaborating with both the Anteaters & Highways project and Giant Armadillo Conservation Program, with isotopic analysis and species distribution modeling. Fernanda D. Abra is a biologist and she received her M.S. 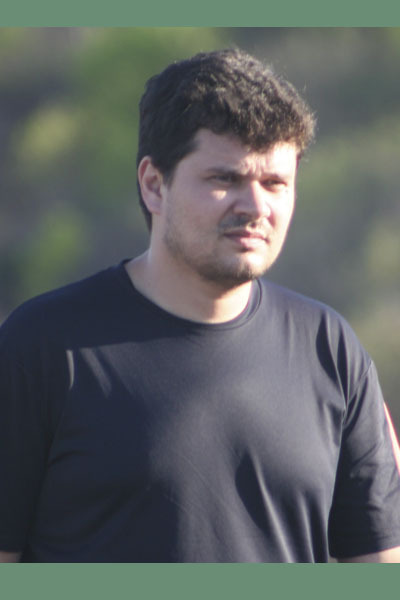 in Ecology from the University of São Paulo (USP) in 2012. 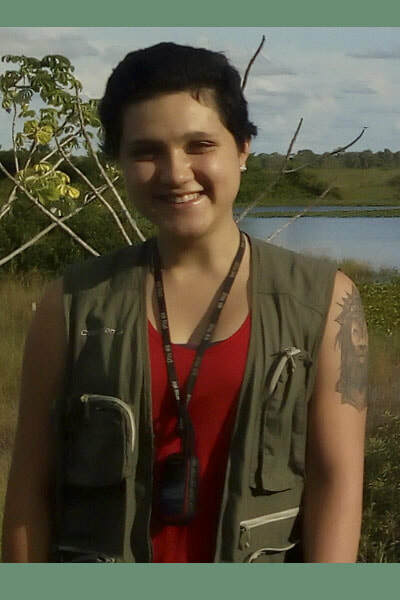 Currently, she is a PhD candidate in the Applied Ecology Program at ESALQ/USP (Wildlife, Ecology and Management Lab) being advised by Professor Katia Ferraz (ESALQ) and Marcel Huijser (Montana State University). In addition, she conducts research for FAPESP developing the first animal detection system in Brazil. Together with two colleagues, she also owns her own consulting company (ViaFAUNA) and provides specialized advice regarding human-wildlife conflicts related to transportation systems, including roads, railways and airports. Fernanda is collaborating with the Anteaters & Highways project advising about mitigation measures to reduce giant anteater roadkills and helping to elaborate a complete mitigation guideline for roads. 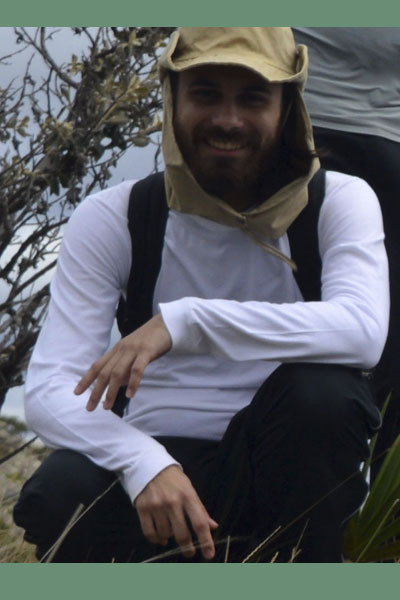 Gabriel O. de Carvalho is a master's student of biophysics at Federal University of Rio de Janeiro, developing his project at the Laboratory of Radioisotopes Eduardo Penna Franca. He has special interest in ecology, ecotoxicology and wildlife conservation. 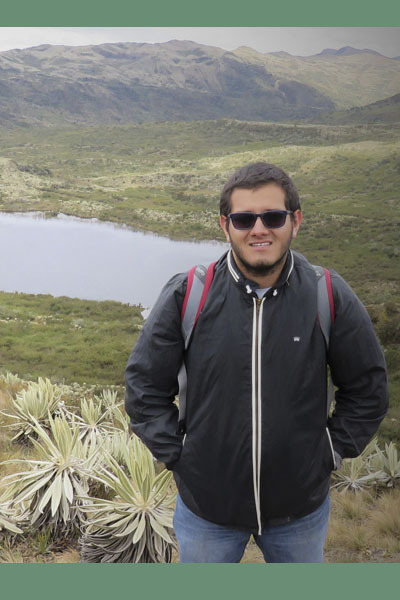 His project involves the investigation of contamination in the anteater species tamanduá-bandeira (Myrmecophaga tridactyla). His collaboration to the project will focus on the mercury contamination in animals living under different anthropic influences. 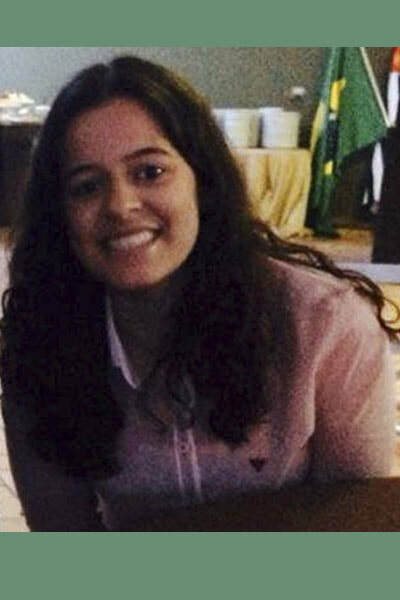 Mariana Silva is a pharmacist and master's student in the post-graduation program in Pharmaceutical Sciences at the State University of Campinas. 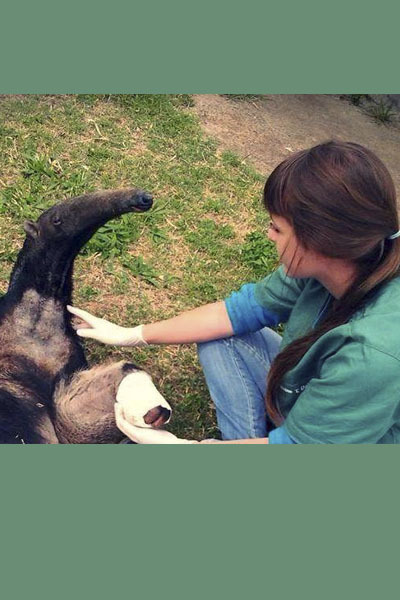 Mariana will analyze the Anteaters & Highways project samples to understand the exposure of the anteaters to pesticides of different classes, especially formicides and termicides, through toxicological analyses carried out on samples of blood and liver collected post mortem from roadkill animals. 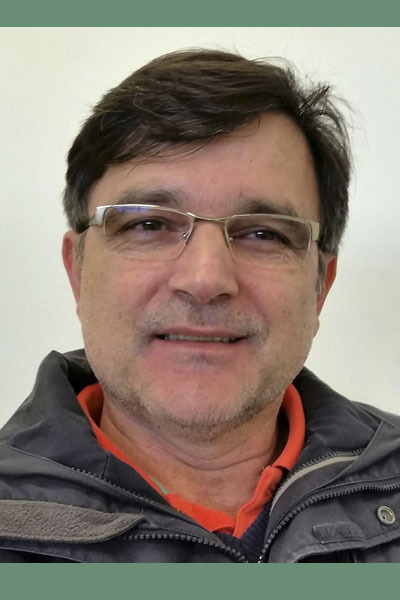 José Luiz da Costa is a Pharmacist-Biochemist, Professor of Toxicology in the Faculty of Pharmaceutical Sciences of the State University of Campinas (FCF-UNICAMP). He has experience in the areas of toxicology and instrumental analytical chemistry, with emphasis in toxicological analysis, acting in our main subjects: emergency toxicology and examination, analysis of abuse, drugs and pesticides, separation techniques in gas phase (gas chromatography) and in liquid phase (high performance liquid chromatography and capillary electrophoresis), mass spectrometry applied to analyses of clinical and forensic interest. Biologist and Master's degree student by the Graduate Program in Zoology of the Federal University of Paraná. The research is based on the identification of species of mammals through the morphology of hairs. The aim of the research is to analyze and describe the hair morphology of the xenarthra species, based on hair samples from scientific collections and projects, such as of the anteaters & highways project. Through the analysis of the hairs it is possible to identify different species, also to understand ecological relations and kinship relations among the species, besides applications in the forensic area, conservation and others. 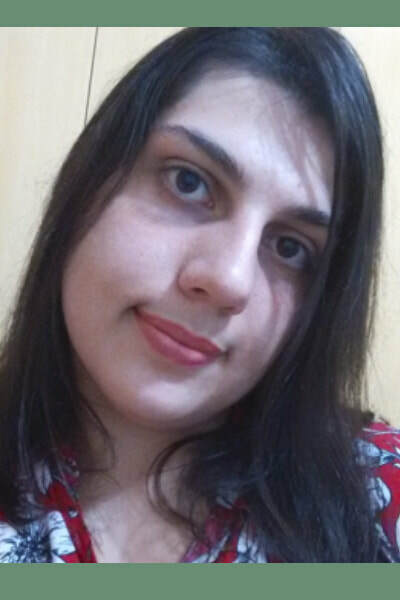 Ana Cláudia Calchi is a veterinarian and Master’s student in the Graduate Program in Medicine Veterinarian of the São Paulo State University – Faculty of Agricultural and Veterinary Sciences. Her research is based on molecular detection and genetic diversity of arthropod-borne diseases in wild animals with focus in Anaplasmataceae (Ehrlichiaspp. e Anaplasma spp. ), Bartonellaceae (Bartonellaspp. ), Mycoplasmataceae (hemoplasmas), piroplasmas (Babesiaspp. e Theileriaspp. ), and e Hepatozoonspp. in Xenarthra. Marcos holds a degree in Veterinary Medicine from Universidade Estadual Paulista - Júlio de Mesquita Filho (2004), a Master's degree in Veterinary Medicine from Universidade Estadual Paulista (2008), and PhD in Veterinary Medicine in 2012 (concentration area of Preventive Veterinary Medicine) in the same institution, with sandwich period at Johns Hopkins School of Medicine. Post-Doctorate at the State University of São Paulo (2012-2013). Currently, he work as Assistant Professor in the Faculty of Agrarian and Veterinary Sciences (UNESP Jaboticabal), teaching classes of Veterinary Parasitology I and II, Zootechnical Parasitology and Human Parasitology. He is a Professor and Advisor at the Stricto Sensu Postgraduate Courses in Veterinary Medicine and Agricultural Microbiology at FCAV/UNESP Jaboticabal and Lato Sensu "Residency in Professional Health Area - Veterinary Medicine and Health." Professor of the Post-Graduation Program of Universidad Austral de Chile. Member of the Internal Commission of Biosafety of FCAV / UNESP. Member of the Council of the Veterinary Medicine Undergraduate Program at FCAV. He has experience in Veterinary Medicine, with emphasis in Veterinary Parasitology, working mainly on the molecular characterization and serological diagnosis of arthropod-borne agents in domestic and wild animals. Treasurer of the Brazilian College of Veterinary Parasitology (Management 2017-2018). Assistant Scientific Editor of the Brazilian Journal of Veterinary Parasitology. Deputy Coordinator of the Graduate Program in Veterinary Medicine of the FCAV (Management 2018/2021). Head of the Department of Veterinary Pathology of FCAV / UNESP Jaboticabal (Management 2015/2020). CNPq Productivity Fellowship Level 1C. Its scientific collaboration with the Bandeiras Project aims to study the occurrence and genetic diversity of arthropod-borne agents in Xenarthra, focusing on agents of the family Anaplasmataceae (Ehrlichiaspp. And Anaplasmaspp. ), Bartonellaceae (Bartonellaspp. ), Mycoplasmataceae (hemoplasmas), piroplasmids (Babesiaspp. and Theileriaspp. ), and Hepatozoon spp.